Last week, March Of Dimes, the leading non-profit organization for pregnancy and baby health, raised $1.4 million at the sixth annual March of Dimes Celebration of Babies: A Hollywood Luncheon, which took at the Beverly Wilshire Hotel in Los Angeles. The 2016 honorees included Grammy Award-winning singer and Academy Award-winning actress Jennifer Hudson, Chairman and CEO of Universal Music Publishing Group Jody Gerson and Mary Kerr, M.D. for their various contributions to the cause. Celebration of Babies is co-chaired by Jimmy Horowitz, President of Universal Pictures, and his wife Joi, along with producer Wyck Godfrey. March of Dimes Celebration of Babies brought together celebrities and prominent individuals in the entertainment community who care about the health of moms and babies. For the first time in eight years, the rate of premature birth in the U.S. has increased, driven by worsening rates among specific racial and ethnic groups as well as geographic areas, across the country. The preterm birth rate among Black women is 48% higher than all other women. In addition to the unfair toll on mothers and babies, preterm birth accounts for more than $26 billion annually in avoidable medical and societal costs in the United States. Prematurity affects 15,000,000 babies each year globally and nearly one million of them die before their first birthday. March of Dimes strives for a world where every baby has a fair chance, with a mission to improve the health of babies by preventing birth defects, premature birth and infant mortality. 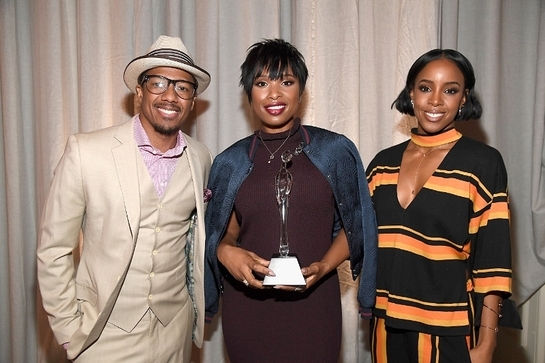 Grammy and Academy-Award winner Jennifer Hudson received the 2016 March of Dimes Grace Kelly Award, which recognized her commitment to help families and give all babies the healthiest start in life. From humble beginnings, Hudson rocketed to worldwide acclaim with her acting and music recording career. Her memorable roles have garnered her numerous honors and awards over the years, including Academy, Grammy, Golden Globe, BAFTA and SAG Awards. 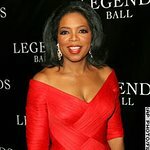 Hudson has also made a global impact through her extensive philanthropic work, championing children, women’s issues and poverty around the world. Jody Gerson, Chairman & CEO, Universal Music Publishing Group, was honored by March of Dimes as the 2016 Inspiring Woman of the Year for her accomplishments as a leader in the entertainment industry and as a dedicated mother. Dr. Mary Kerr, board-certified obstetrician and gynecologist, was honored with the 2016 March of Dimes Prematurity Champion Award, for her dedication and special interest in caring for patients with high-risk pregnancies. She has been honored as one of the top Obstetrician and Gynecologists in America and is a faculty member of the American College of Obstetrics and Gynecology, the Los Angeles Obstetrics and Gynecology Society, the American Women’s Medical Society and the American Medical Association. Dr. Kerr is also a national honoree for United Cerebral Palsy for her work with embryonic stem cell collection and Special Needs Network LA, which provides needs for low-income families of children and adults with autism and other developmental disabilities. President of Universal Pictures Jimmy Horowitz and producer Wyck Godfrey served as Celebration of Babies event chairs, alongside their wives. Nick Cannon returned as master of ceremonies for the exclusive luncheon at the Beverly Wilshire Hotel. Event co-chairs included: Shelli and Irving Azoff, Catherine and Marty Bowen, Kate and Paul Brooks, Sir Lucian Grainge and Lady Caroline Grainge, Paula Kaplan and Billy Goldberg, Lisa Kasteler, Chris Meledandri, Graehme Morphy, Ronald O. Perelman and Dr. Anna Chapman, Daniel Seah, Damien Smith, and Molly Sims and Scott Stuber. Host committee members included: Michele Anthony, Steve Barnett, Steve Berman, Lauren and Jason Blum, Liza Chasin and Matthew Velkes, Marc Cimino, Jeff Frasco, Alex and Brad Fuller, Risa Gertner, Jeff Harleston, LaTanya and Samuel L. Jackson, John Janick, John Josephson, Michelle Jubelirer, Alicia Keys, Ashley and David Kramer, David Lande, Avery Lipman, Monte Lipman, Richard Lovett, Elizabeth Matthews, Boyd Muir, Deborah Newmyer, Mike O’Neill, Gavin Polone, Terry Press, Anna Rawson and Ted Chervin, Kelly Rowland and Tim Witherspoon, Jackie and Adam Sandler, Erika Rose Santoro, Will Tanous, Talin and Scott Tenley, and Carrie and Bill Zotti. Since the inaugural event in 2011, Celebration of Babies has helped raise awareness of March of Dimes and the preterm birth health crisis while raising over $7,000,000 to help give every baby a fighting chance.